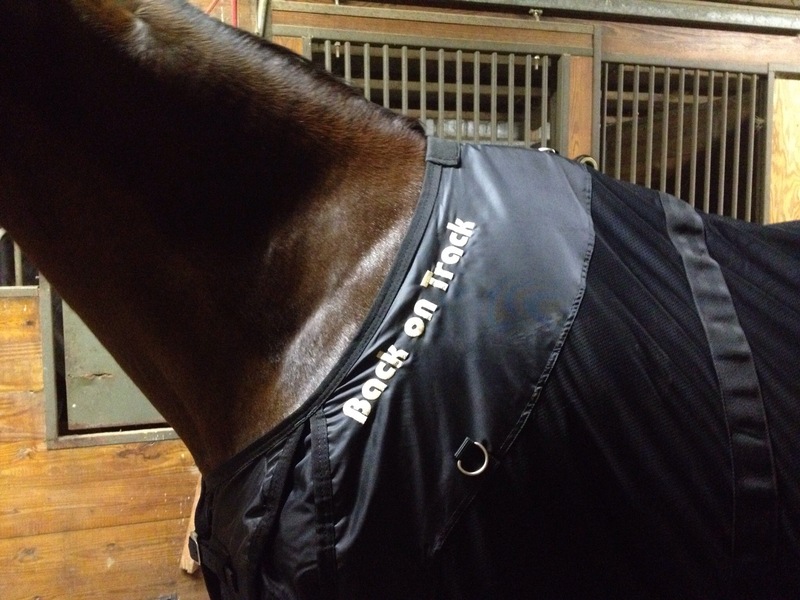 although I have posted before about how much I love the Back on Track mesh sheet for my boy, and what a difference it makes for him in the winter, I have been wanting to post about his Back on Track polo wraps. I have the 9′ length, which is perfect for his front legs. 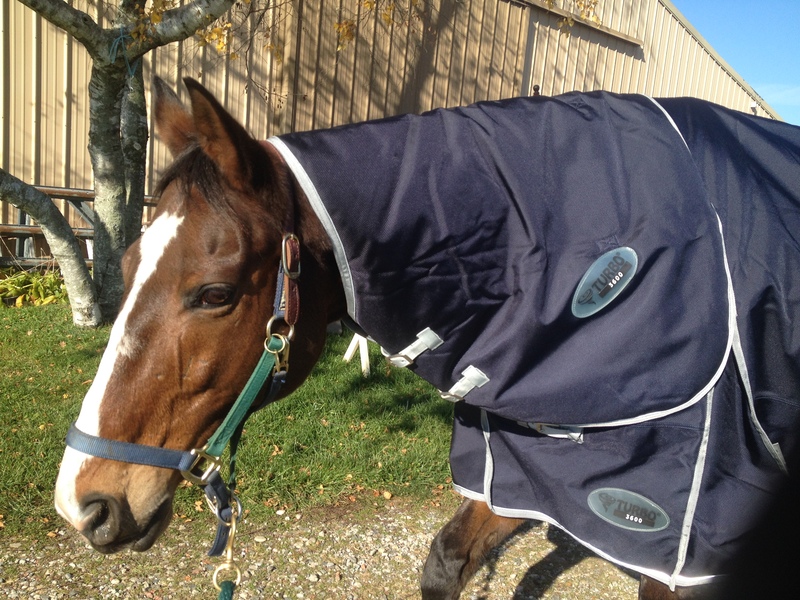 First impressions: the wraps are impeccably made, with soft fleece on the outer part and the Back on Track material on the inside that goes against the horse’s leg. 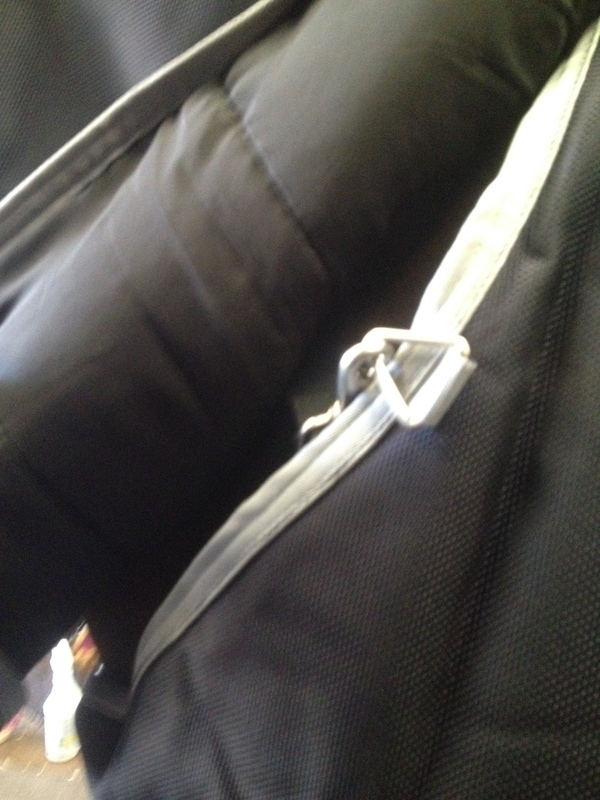 They have nice sturdy Velcro, with the Back on Track logo in gold. Results: being the sensitive TB that he is, and being pasture boarded, Mabou often has little nicks and bumps on his legs. After an average ride wearing these polos, Mabou’s legs are visibly tighter. 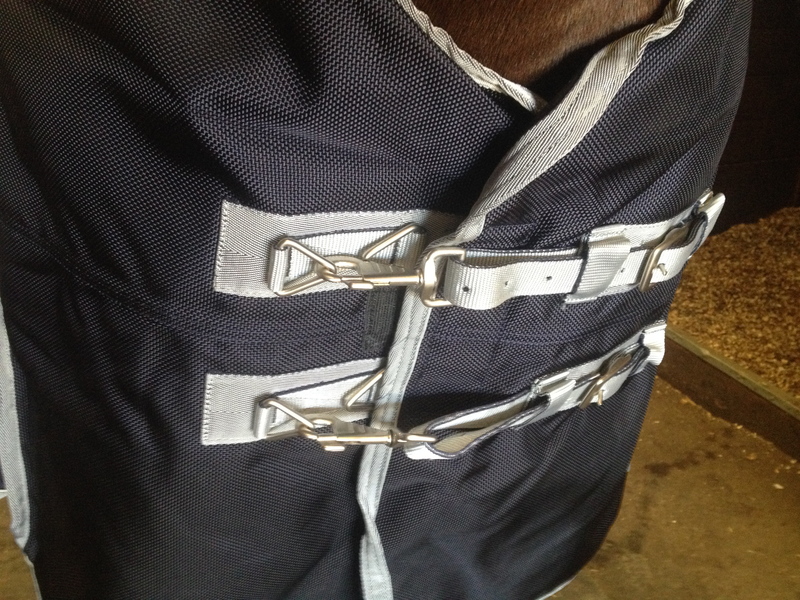 I would definitely recommend these polos and plan on getting a second set for myself to use on his hind legs. 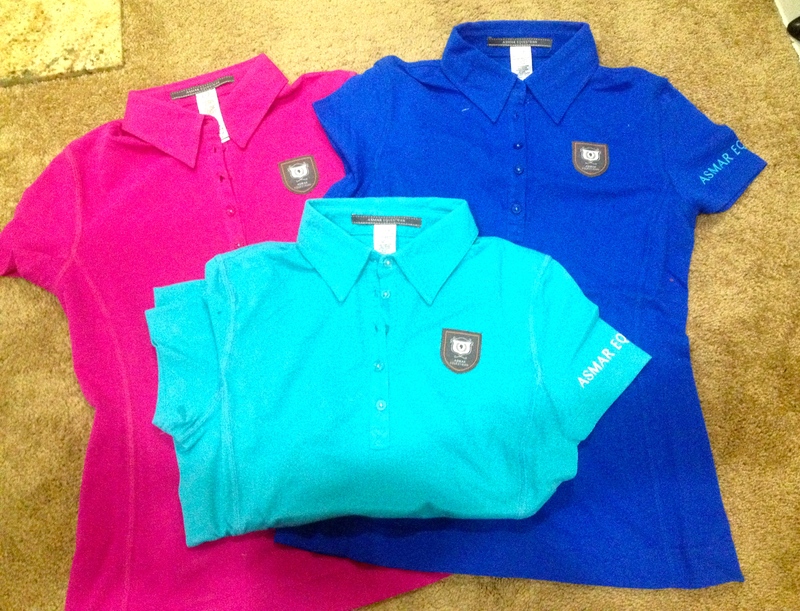 The bright colors of the Asmar Signature Pique Polo make me think of springtime, which in the winter wasteland that I am living right now is a nice breath of fresh warm air. 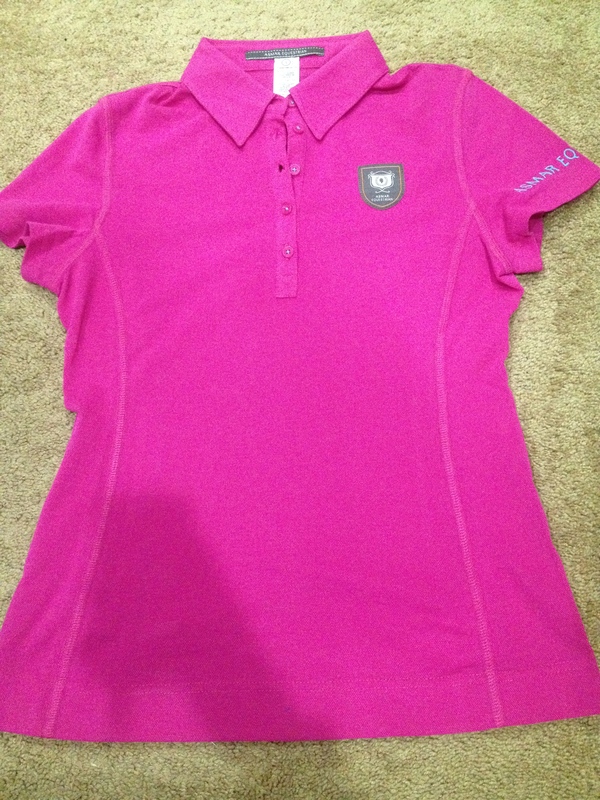 I got three of these polos on sale- with the spring colors I couldn’t resist. First Impression: The material is a fine pique weave that is really soft and technical feeling. 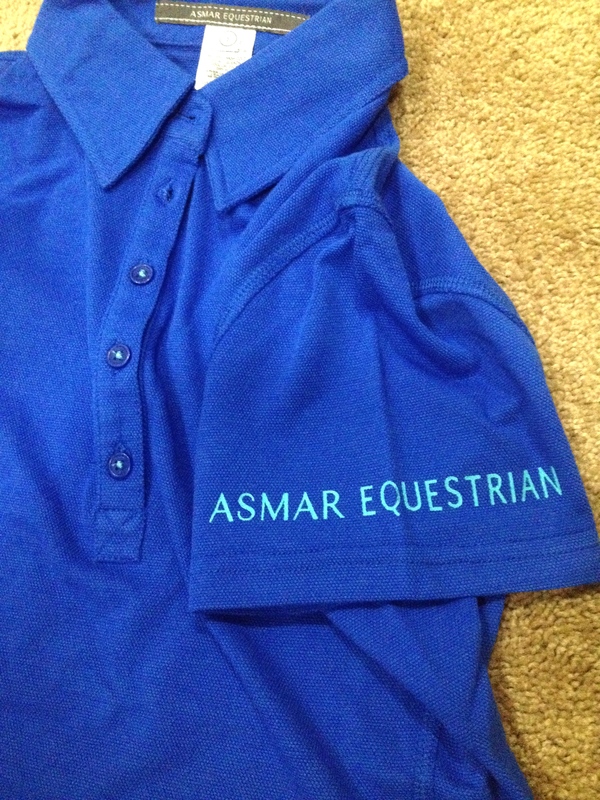 The colors are super vibrant and all the details set these polos apart, from the flattering seaming to the Asmar Equestrian logo on the left sleeve to the Asmar logo on the left chest. Wear: I haven’t gotten to test these out in any kind of heat yet (damn you winter) but I have worn them as a base layer under sweaters, and they are definitely very comfortable and breathable. They also wash well, I washed on cold gentle cycle and hung them to dry. Although these polos are not cheap, I really think they are a step up for me from my cheaper ones and hope that they last a lot longer. 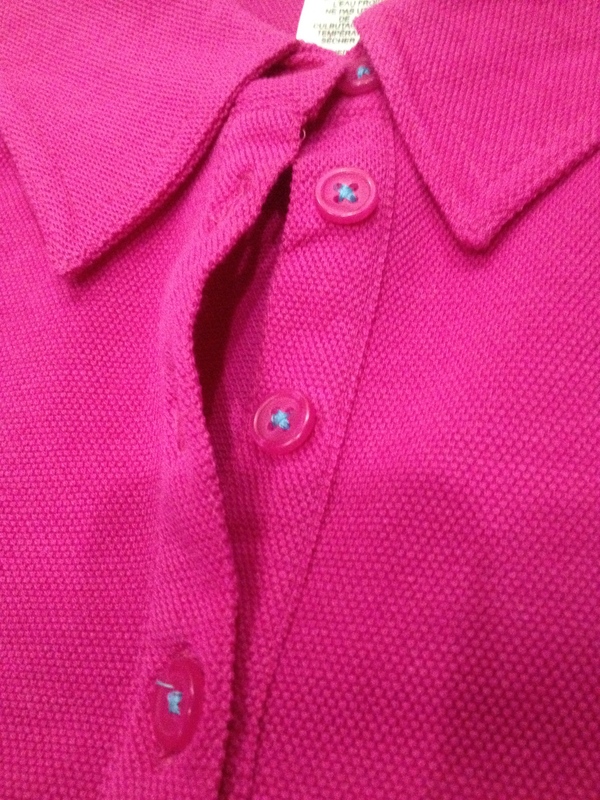 The material and fit is miles above my regular boxy fitting polos. I also think that they will be great for the warmer weather. 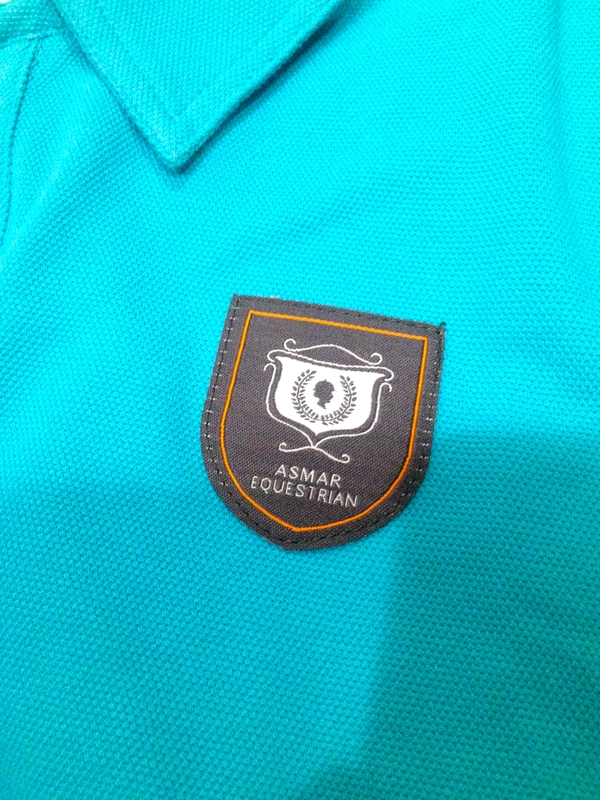 Bottom Line– I want to get more Asmar clothing! I purchased the Back on Track mesh sheet around mid December, and wanted some time to test it out before I wrote a review. First impression– The sheet is very soft mesh material, with shoulder gussets that can be opened up to allow for shoulder freedom. It has a rather large Back on Track logo on the neck but it doesn’t look bad, it’s tan on the black sheet. 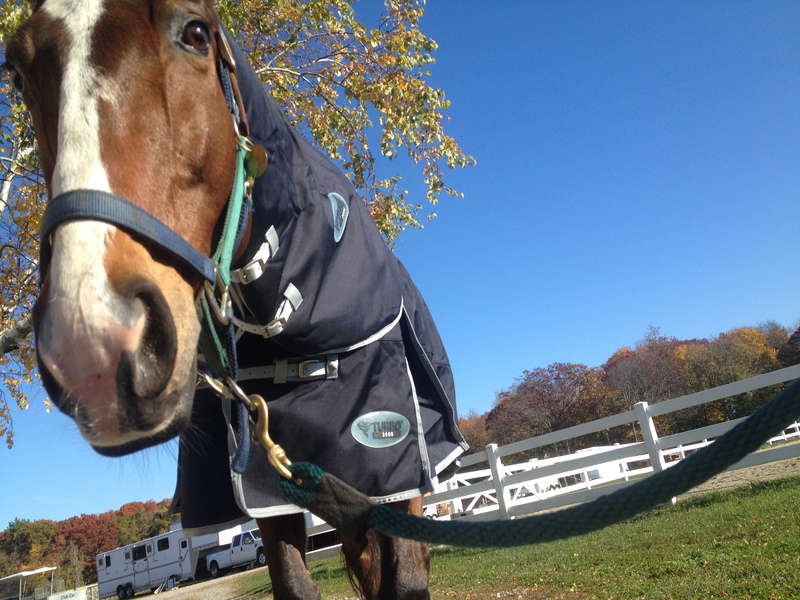 Sizing– Mabou takes a 78″ in most blankets but this sheet fits him perfectly in a 75″. 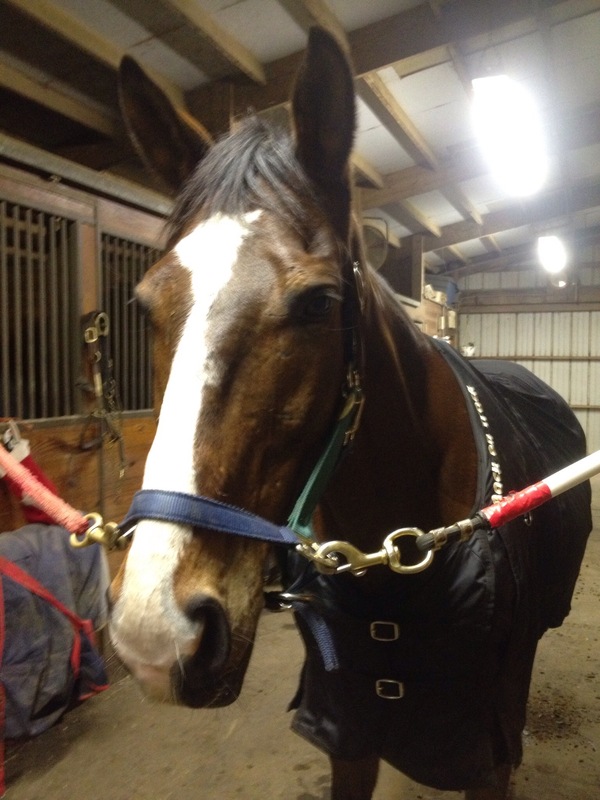 Effectiveness– being the very sensitive thoroughbred that he is, Mabou is generally cold backed in the winter and takes some time to get his back warmed up, relaxed, and swinging. 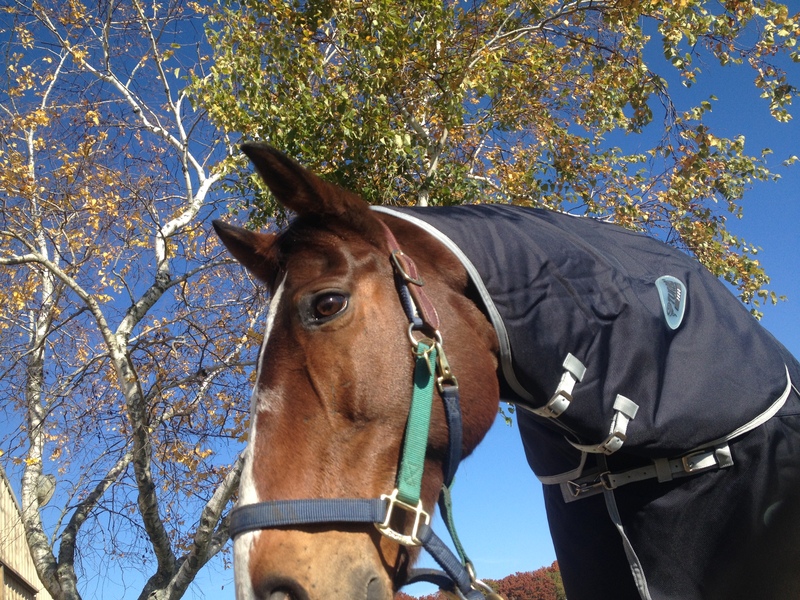 Since he has begun wearing this sheet, I have absolutely noticed a difference in him, he is much more relaxed at the start of my ride. In fact, I knew I had something great going when I first put the sheet on Mabou and within 5 minutes he was licking and chewing. Usage– at first I would put the sheet on as I groomed Mabou (for about 15-20 minutes), since you are supposed to build them up to the effects of it gradually. After doing that for about a week I put it on under his blankets overnight. Now he just wears it 24/7 as a liner under his blankets, with no ill effects. Bottom line- I highly recommend this sheet!! The newest acquisition to Mabou’s boot collection is a set of Thinline boots, the open front boots and the ankle boots. First impressions: They seem really well made. The Thinline material is the entire inside of the boot. The ankle boots have double elastic to keep them extra secure. The fit: For reference, Mabou takes horse size in Eskadrons and is a 14″ pillow wrap in the front and 16″ pillow wrap in the back. He is 17 hands. 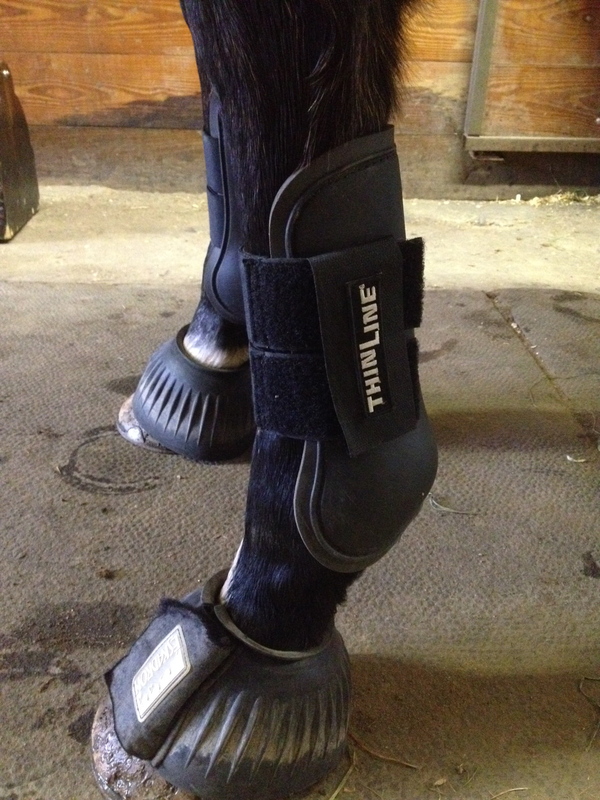 The open fronts fit him really nicely in front, and there is enough extra velcro that they could also fit a horse with thicker legs as well. 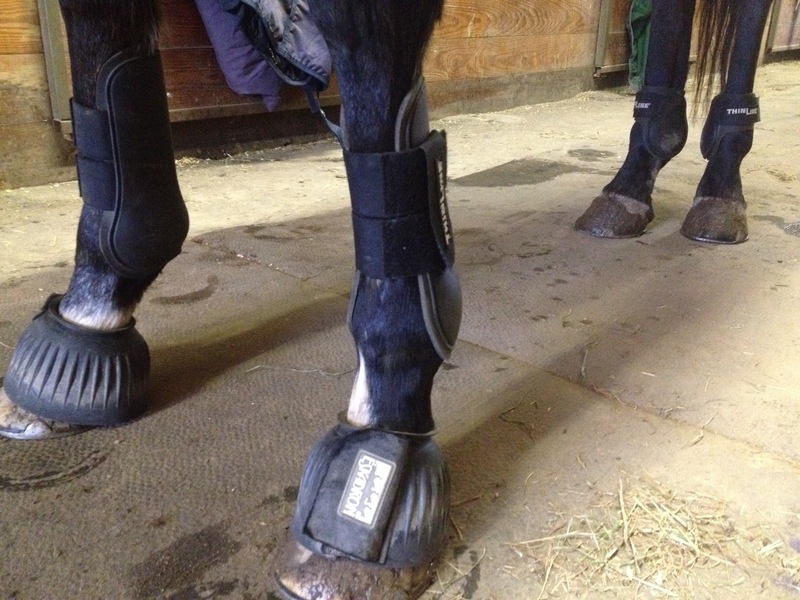 The ankle boots also have a lot of extra velcro that would allow for fitting on a horse with thicker legs. What I liked: The boots didn’t pick up any dirt, as it just brushed off the Thinline material. This makes me happy that he won’t get dirt and sand against his legs and possibly get rubbed. His legs also didn’t seem to get too warm under the boots, but I didn’t do much, so I will wait and see how they do during a harder ride. I also like that the Thinline material will absorb all the shock if Mabou hits any of his legs, just as the saddle pads do for the horse’s back. 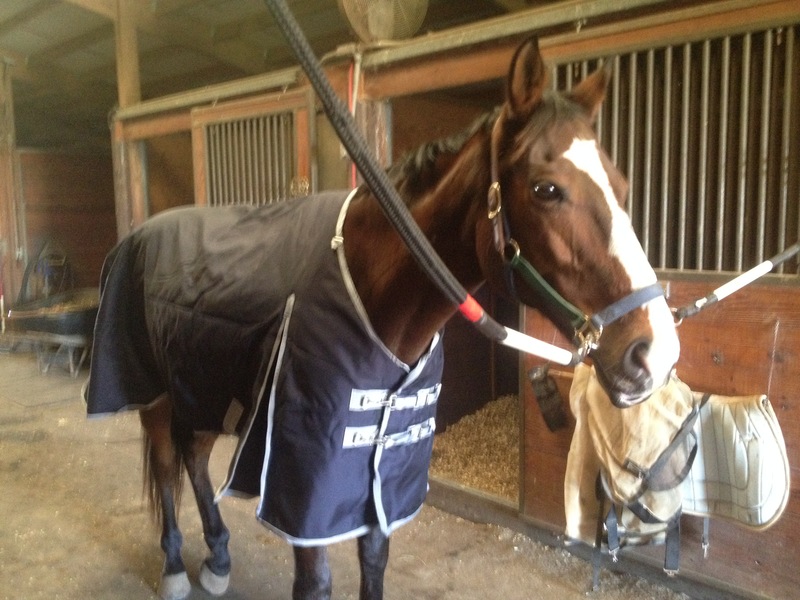 Although my horse already has two medium blankets (both very nice Pessoas) I found it necessary to purchase an additional one when the Centaur Turbo 3600 was for sale for a really good price. I got the navy color and also purchased the matching neck cover. 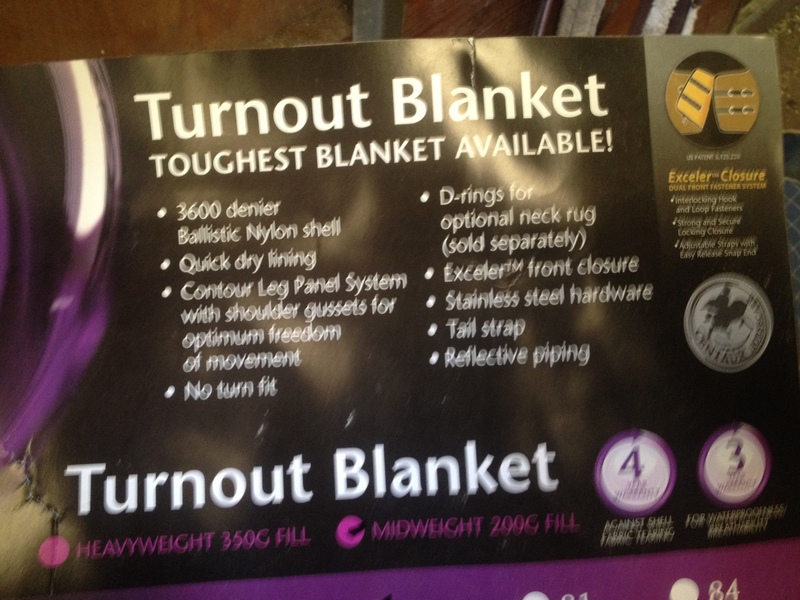 I was attracted to this blanket because the outer shell is a whopping 3600D Genuine Ballistic Nylon. My Rambos, Rhino and Pessoa blankets (which have lasted me very well) are all made of outer shells with denier in the 1000’s so this blanket must be pretty indestructible. Right out of the bag the fabric feels heavy duty but still soft, it isn’t rough at all but you can tell that it will be hard to rip it. It came with really nice elastic leg straps too. I ordered it in size 78″, which is Mabou’s normal size and it fits really true to size. He is on one of the smallest holes in front, which is normal for him because he is kind of narrow chested. I like how high the neck is cut as well, which helps to fits him really nicely in the shoulder. The front buckles are really nice, I like when there is the clip so you are not fumbling with straps in the cold weather. 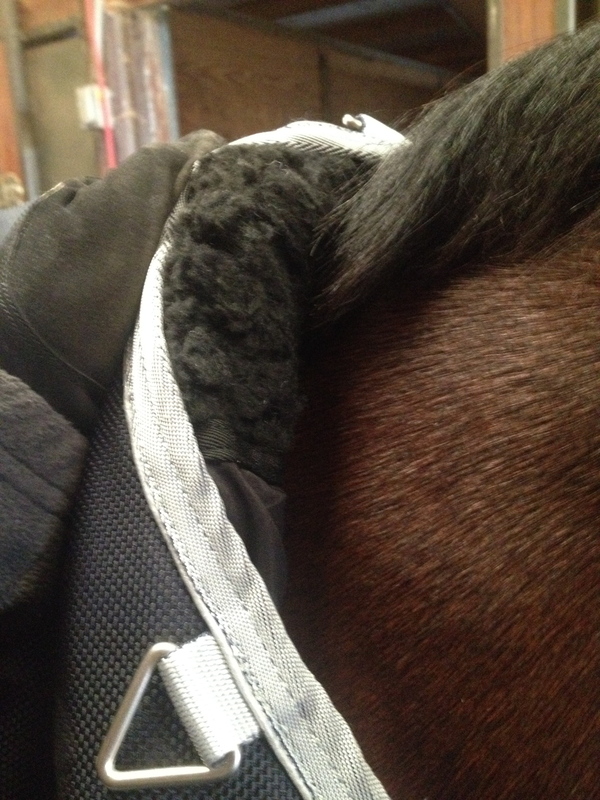 Another nice feature was a thick area of fleece at the top of the withers. It probably extends back about 3 or 4 inches. The neck cover was actually one of the nicest ones that I have. Instead of velcro straps to attach it, it had really nice and easy to use clips that were attached to the neck cover with elastic. This seems so much more comfortable when the horses put their heads down to graze or eat. The neck cover was also generously cut and extended down over the shoulder a bit further than my other ones do. I like that it overlaps the blanket more so there isn’t as much likelihood of getting drafts underneath it. 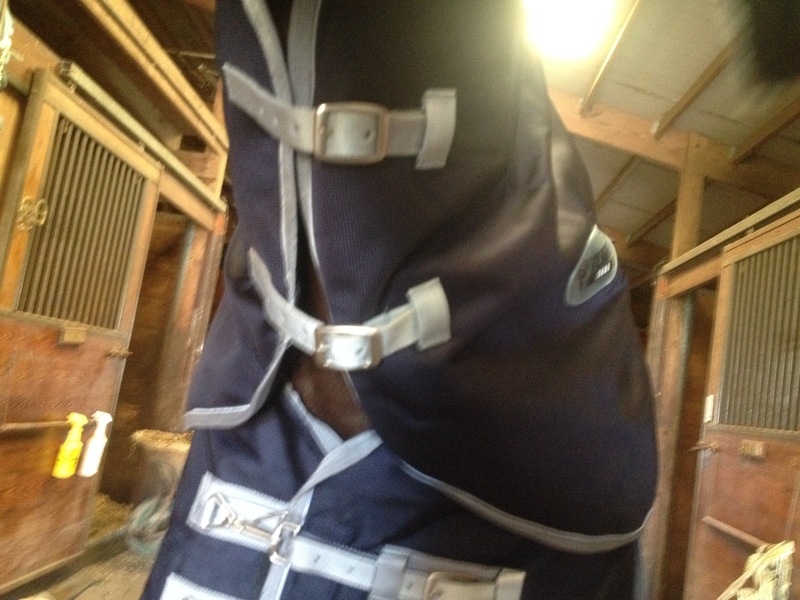 One thing to note is that my horse doesn’t have too thick of a neck and he was on the second to last buckle on the size large neck cover. 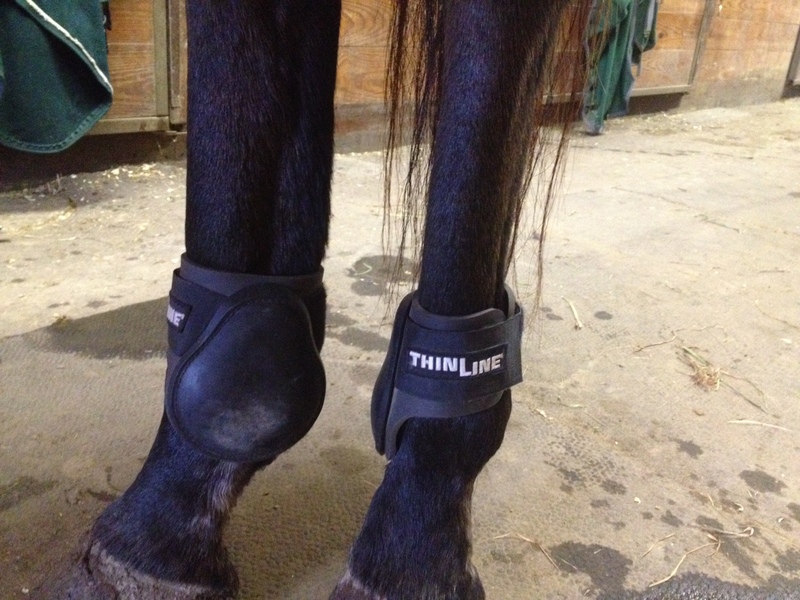 This may be tight on horses with very thick or chunky necks. Now Mabou is ready for the chillier temperatures we are expecting in the next few days. I may be quiet until Sunday because I leave today for sunny Florida- hooray! After lusting after these Le Fash show shirts for a while now, and actually seeing and feeling them in person at the Hampton Classic, I finally bought myself one that I found online for a good price. 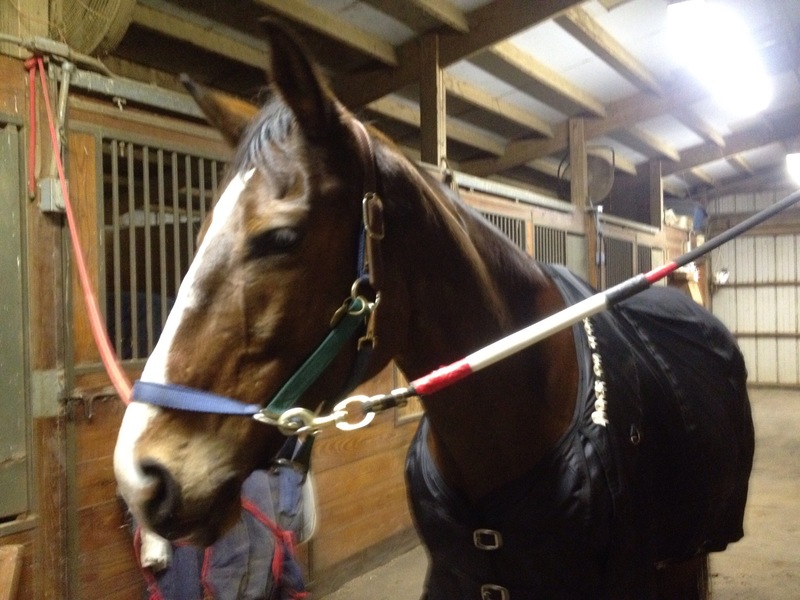 I wore it for the first time to the hunter pace last Sunday, underneath my sweater and vest. My first impression was how incredibly comfortable it was, it didn’t feel anything like a normal button down or show shirt. 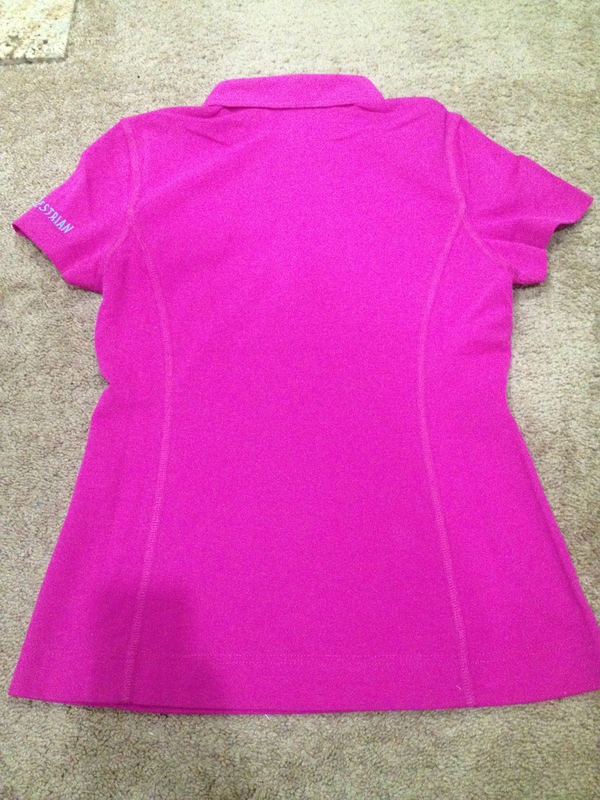 I love how flattering it fit as well, the fabric on the sides was stretchy and soft but not clingy. For sizing reference, I normally wear a women’s size 4-6, and a size 34 show shirt, I got this shirt in a size medium. Most importantly, when I ultimately ended up sweating because I wore too many layers during the actual hunter pace, I didn’t feel wet or damp at all, the shirt was really great at wicking the sweat off of my body. This was wonderful as usually I sweat like that during the pace and then get a chill after when I am all damp. I also really like how the bamboo material on the sides is antibacterial as well, which is a great feature to combat the stink of sweating. After the pace, I threw it in the wash on cold, gentle cycle, and hung it to dry, it came out perfect! I cannot wait to get a few more! They would both be perfect for the show ring, but with a nice pop of color for when I am not wearing my jacket! 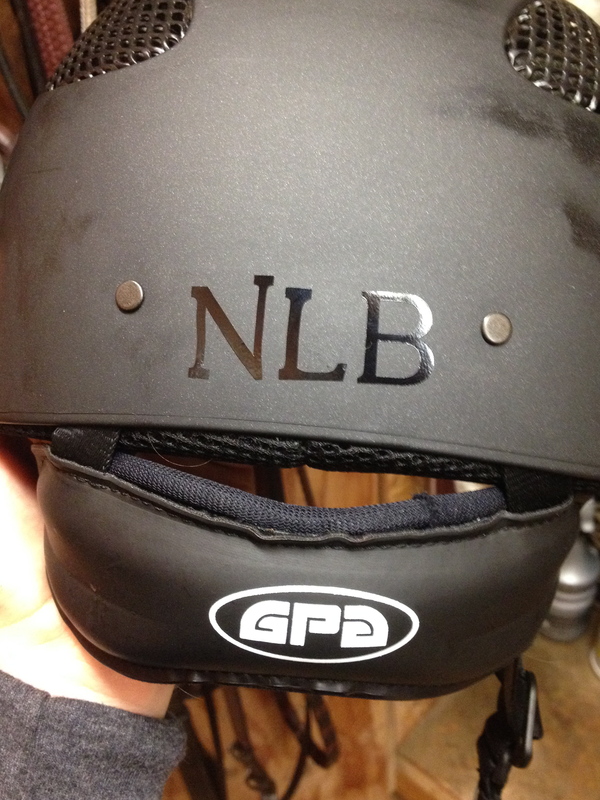 Today I got to apply my helmet monogram! I got it from Personally Preppy. The application was super easy, and it seems to have really stuck on there well. 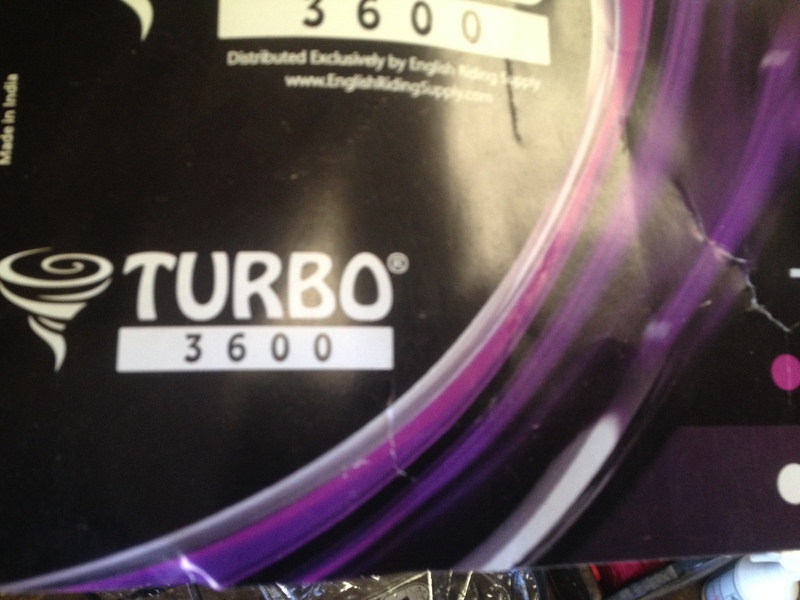 Only time will tell how durable it is. I really like how the shiny black looks on the matte black of my GPA. 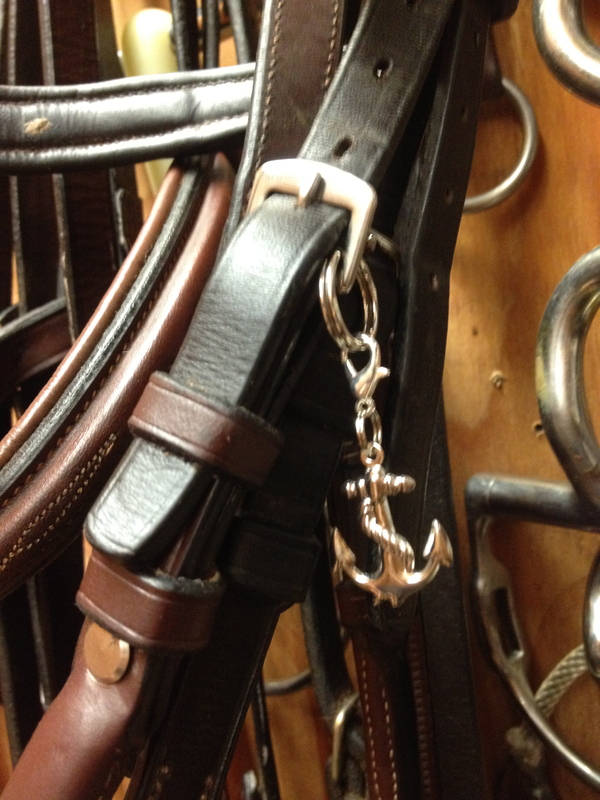 I also put my charms from My Barn Child onto my bridles. After seeing these cute charms all over the place, I finally gave in and ordered one when they were running a promo for a free anchor charm with any charm order. I got a sapphire round ball and the anchor charm. 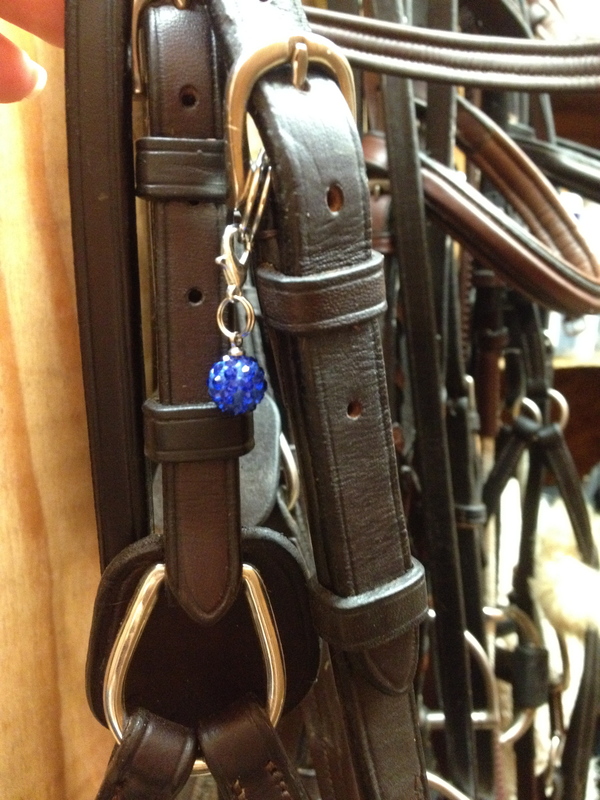 They were easy to put onto my bridles and look really nice, I like the little extra bling that they give to my bridles. 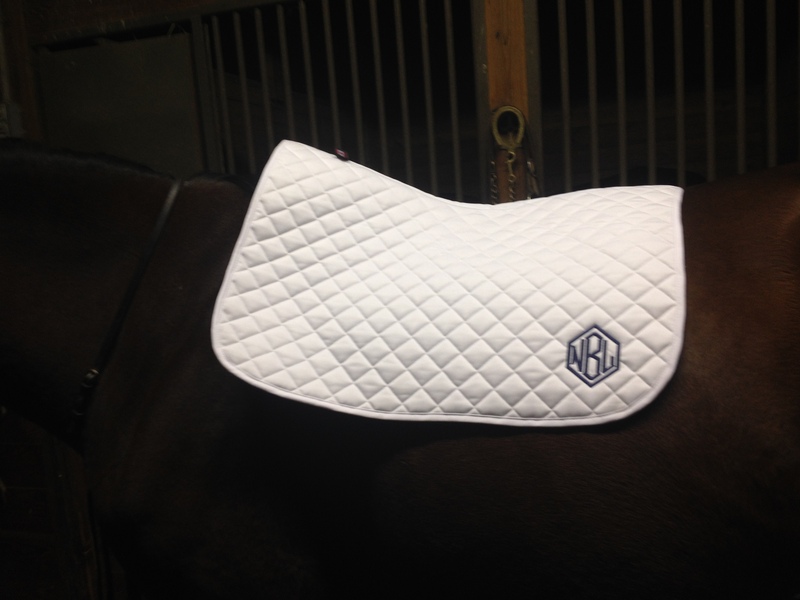 Lastly, I finally gave in to the hype and ordered an Ogilvy baby pad. 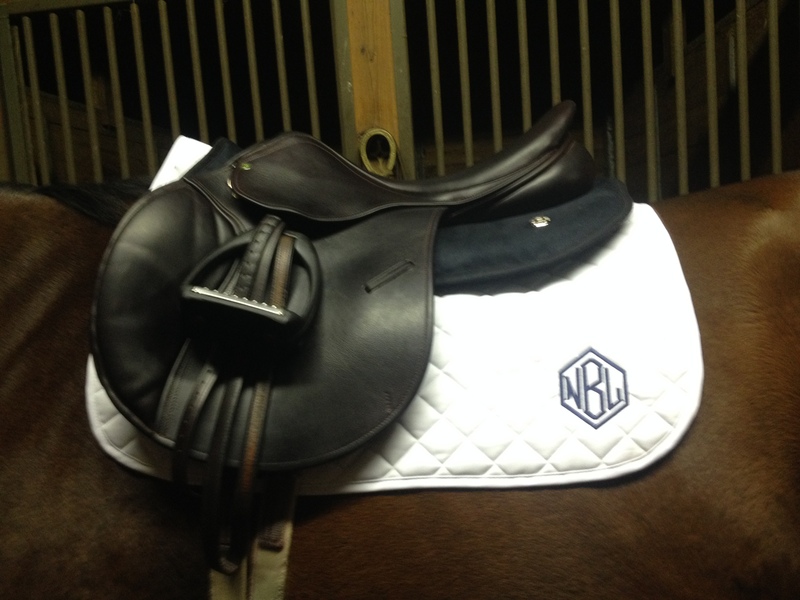 I ordered it from SmartPak and as usual, it arrived very quickly, even with the custom monogram. The hype is real… it did not disappoint! I love the way that it is cut, it sits exactly perfect with no adjustment whatsoever. It is also a great length, as I have found some of my other pads are not as long as I would like under the Ogilvy half pad. It didn’t move at all during my ride, I am sold! Now I can’t wait to get more! After impatiently waiting most of the day for my digital print downloads to be emailed to me from the photographer website, I sent an email asking for the status and was informed that they will be emailed to me tomorrow! Can’t wait to share! 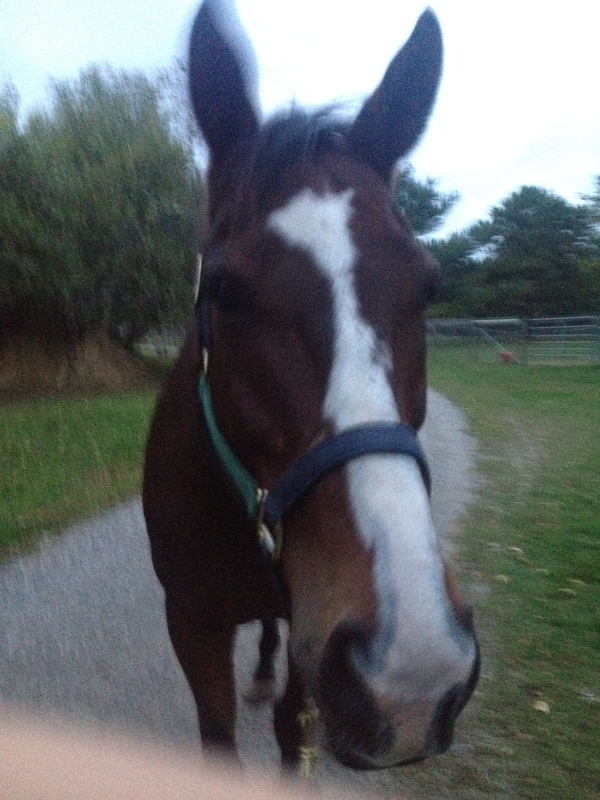 Last but not least- look how white my horse’s face looked today! !